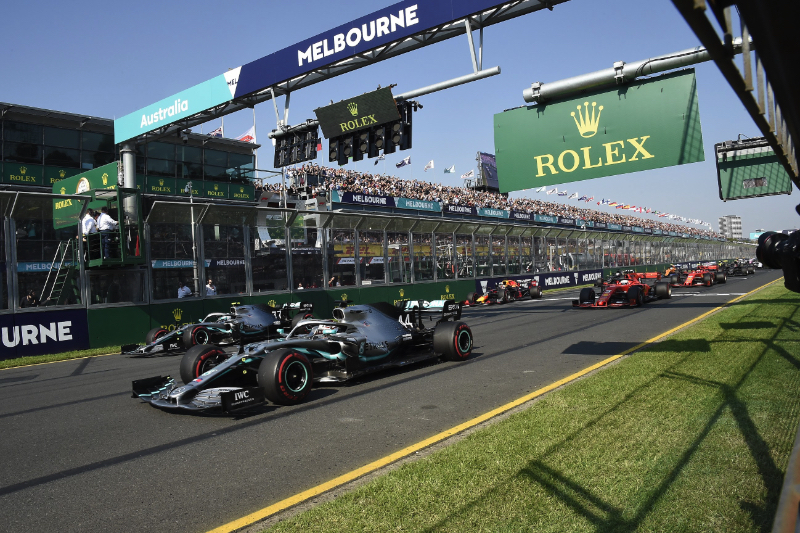 With the Australian Grand Prix providing some unexpected results, we head into the second race of the season with even more questions than answers in our minds. Flying into Melbourne we all had about 30 hours in planes and transit airports to anticipate what was going to happen, but I bet no one expected an easy Mercedes one-two and even fewer predicted Valtteri Bottas would completely dominate the race to earn his fourth Grand Prix victory. Unexpected too was Ferrari's lack of speed, already in qualifying but even more in the race, while Red Bull-Honda surpassed expectations and had Max Verstappen on the podium, harassing Lewis Hamilton in the last dozen laps. And the Japanese manufacturer enjoyed a trouble-free weekend with all its four cars, so that's something new as well. Given the Albert Park track is not the most representative of every driver and team's form, it's always better to see how everyone does in a proper racing track before drawing any firm conclusions about the state of play in each season and that's why there's a lot of anticipation on the run up to this weekend's Bahrain Grand Prix. It's also a great opportunity for those who failed to perform in Melbourne to reassert their ambitions and make up for the lost ground, so the ball is definitively in their court this coming weekend. First of all, Ferrari has a lot to prove, after being very much the third force in Australia. In Maranello there is the firm belief a mistake in the preparation - sending the cars down to Melbourne with a less than ideal specification and making matters worse by going the wrong way with the set-up in FP3 - was the cause for Vettel and Leclerc's lack of speed. The lack of an experienced driver in the simulator contributed to the Scuderia's poor showing in Australia, with cooling issues affecting the Power Unit's performance in the race, as a secondary consequence for a flawed aerodynamic set-up. The Italians now head into Sakhir determined to show they really have the faster car in the field, fully knowing a second defeat could have dire consequences for the troop's morale. But inside Mercedes there are unresolved issues too. While Valtteri Bottas admitted the Australian Grand Prix was the best race of his life, Lewis Hamilton was adamant his lack of race performance was due to a balance issue on his W10, later traced to come from a missing floor flap in front of the left front wheel. Therefore, the five times World Champion goes into Bahrain determined to prove that with no technical issues he's Mercedes' main man for this season, while Bottas wants to keep his momentum going and lead the Silver Arrows in a track where he beat Hamilton fair and square last year (even without the Brit's grid penalty). The internal battle at Mercedes promises to be a fascinating one, particularly because it's unlikely there will be any mind games or dirty tricks coming into it, because of Bottas' uncomplicated attitude to racing and life in general. Appetite comes with eating, so goes the proverb, and after being the second most competitive team in Melbourne, Red Bull-Honda goes into Bahrain believing it has a fair shot at winning next Sunday's race. The three long straights are no longer scary for Red Bull, as the Japanese Power Unit allows the RB15 to be competitive against Mercedes and Ferrari and given how well Pierre Gasly did with a Honda-powered Toro Rosso in last year's race, the possibility of the Frenchman and Verstappen fighting at the front of the field cannot be discounted. A three-way battle for the win, I hear you ask? Oh yes, please! Then, we have the midfield battle, that looks set to be the most intense I can remember. Given how close the six teams involved in it are - Haas, Renault, Force India, Alfa Romeo, Toro Rosso and McLaren - it's quite possible for a driver to qualify in seventh place one weekend and be down in P18 two weeks later. Track characteristics, set-up choices, tyre usage and perfect driving will be the keys to lead this battle, so it's hard to make predictions, but I'll stick my neck out and tell you I expect Toro Rosso, Renault and Haas to be fighting for the final four places in Q3 with Force India possibly also in the mix. Given McLaren had a dreadful showing this time last year in Bahrain, it's not impossible both Sainz and Norris could be out in Q1, together with the two Williams drivers, while the real measure of Alfa Romeo-Sauber will be taken this weekend, at a track where the team has struggled since the introduction of the hybrid Power Units, five years ago.